The FHFA, Fannie Mae, and Freddie Mac have been working with the mortgage industry to create a plan that would boost the number of homeowners who qualify for refinancing through the HARP 2.0 program. The new changes to the HARP mortgage program will take advantage of today’s historically low interest rates and, by spreading the opportunity to refinance, provide benefits to homeowners, housing markets, taxpayers and government enterprises alike. Who is eligible for refinance under the new HARP mortgage requirements? they must be current on their mortgages and have no record of late payment within the last six months, and may only have had one late payment maximum over the past 12-month period. the current loan-to-value ratio (LTV) must be higher than 80%. the mortgage must not have already been refinanced through the HARP program in the past, unless it happens to be a Fannie Mae loan that underwent a HARP refinance between March and May 2009. Why encourage borrowers to shorten their mortgages? For borrowers with little or no equity on their homes, there are few financing options available until the balance on the mortgage is paid down. Having a shorter-term mortgage enables borrowers to pay down their balances much quicker than having a 30-year mortgage. In addition, lower interest rates can allow them to shorten the payment term without taking on an increase in the monthly payment amount. The outcome is a win-win situation: the borrower achieves stronger financial conditions and the enterprise that is backing the loan assumes a smaller credit risk. Let’s look at the following scenario to illustrate how a HARP refinance works. In this example, Nancy needs to pay $40,000 to pay down her loan balance, and her current loan-to-value ratio is 125%. Nancy could refinance her mortgage into a fixed-rate, 30-year mortgage with a 4.5% interest rate. Her monthly payment would fall from $1,264 to $1,013 as a result. However, her loan balance still would not fall under $160,000 for ten whole years. She could also choose a 20-year loan term at a 4.25% interest rate (as shorter-term mortgages usually have lower rates). In this scenario, Nancy would have $1,238 as her monthly payment ($26 less than her current payment) and she would reach $160,000 in five and a half years. If Nancy chooses to refinance into a 15-year mortgage at a rate of 3.75%, her monthly payment would increase to $1,454, a difference of $190 per month. However, the balance on her loan would fall below $160,000 in just over three and a half years. This example shows how some borrowers who are eligible under the new HARP mortgage program requirements may benefit from shorter-term mortgages. That said, each borrower’s case is different, and the interest rates they pay will not necessary match up at these levels. A shorter-term mortgage lowers credit risks because the mortgage principal is repaid faster. Thus, borrowers will not face additional fees if they opt for shorter terms. How many borrowers will qualify under the new HARP requirements? No estimates can be certain since the number of refinances will be affected by the number of lenders and servicers who choose to participate, the number of borrowers who will elect to apply for a refinance, and how much or little interest rates will rise in the future. However, the best estimate according to current market interest rates is that the number of HARP refinances may double before the end of 2013 when the program is set to terminate. With that in mind, it must be stressed that this program is not open to all borrowers and cannot save all underwater home loans. It is only open to borrowers who have Fannie and Freddie loans who meet the new Harp mortgage requirements. What steps should I take to receive benefits from the HARP program? First, find out if your loan is owned by Fannie Mae or Freddie Mac. Once you’ve confirmed, get in touch with your present lender or find another lender that is participating in HARP. Are the companies who promise to help borrowers obtain HARP loans authentic? To apply for a HARP loan, it is not necessary to use a third-party company that calls itself a “foreclosure specialist” or “mortgage expert.” Borrowers should talk to their lenders first before contacting third parties. What is the maximum loan-to-value (LTV) ratio allowed under the HARP program? The maximum LTV rule has been changed: if the borrower refinances into a fixed-rate mortgage, no LTV limit applies. However, if the new loan is an adjustable-rate mortgage, the borrower’s LTV cannot exceed 105%. Is HARP the only refinance option that borrowers are able to use? No. The HARP program is actually one of several options available for a refinance: Fannie Mae and Freddie Mac have already helped nine million homeowners to refinance into more affordable mortgages since April 2009. What makes HARP unique is that it gives borrowers with low home equity access to lower interest rates and other benefits. Do mortgages on condominiums qualify for refinance with the new Harp mortgage requirements? Yes, condominiums already qualify for HARP loans and will continue to qualify under the enhanced program as long as they meet the original requirements by Fannie and Freddie. Are appraisals required for under the new Harp mortgage requirements? An appraisal is not required when there is a reliable automated valuation model (AVM) value estimate on a property. If there is no reliable AVM estimate available, a new appraisal is necessary. When will these HARP enhancements be made available? Each mortgage lender will enact its own schedule for implementing these enhancements. Lenders should receive instructions from Fannie Mae and Freddie Mac before November 15. Several lenders could begin taking in mortgage applications under the new enhancements by December 1. Other lenders will need extra time to accommodate the changes. 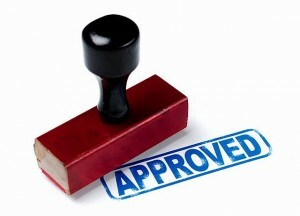 Enhancements such as the ones affecting delivery of loans with LTVs above 125% should be in effect by the first quarter of 2012. Will there be additional risk from the elimination of seller and servicer representations and warrants on HARP loans? If anything, the changes being made to enhance HARP should reduce the credit risk for the participating government enterprises (Fannie and Freddie) and stabilize the mortgage markets while lowering the risk of foreclosure. Almost all borrowers who apply for a HARP loan have proven records of paying their mortgages for at least three years, which shows their ability to fulfill their mortgage obligations while home prices have taken a downturn. As representations and warrants protect the enterprises against losses on bad loans, defects on those loans usually appear at the beginning of the mortgage and cause the reps and warrants to lose their value over the long term. Under HARP, however, eligible borrowers will be strengthening their household balance sheets and lowering their credit risks to Fannie and Freddie. For this reason, the FHFA believes that the elimination of reps and warrants will encourage more lenders to participate in HARP and provide more borrowers with refinance opportunities.